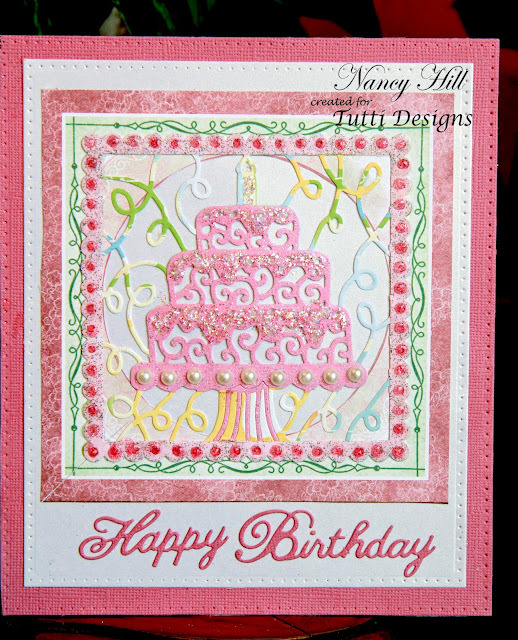 I made my card using the Tutti Designs Birthday Cake die. 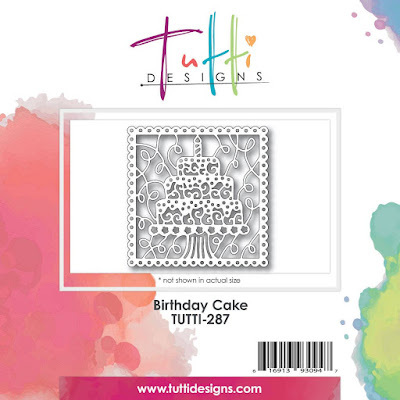 Isn't this a gorgeous die to use for other occasions besides a birthday cake. Keep checking every Tuesday and I will be sharing another card using the Tutti Designs Birthday Cake die for another occasion. You won't want to miss this. Cut out two die cut using one patterned paper and the other with pink glitter card stock using the Tutti Designs Birthday Cake die. 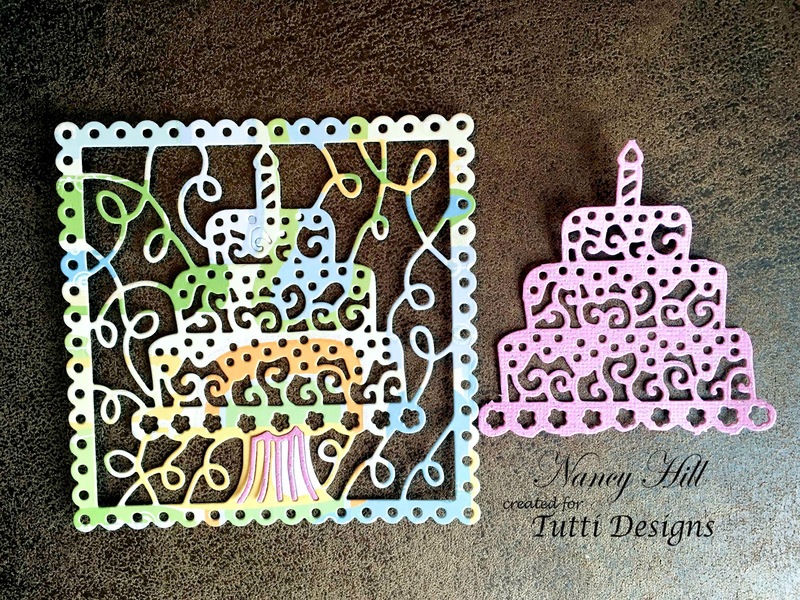 Cut the pink cake and frame out of the die cut and adhere to the patterned paper die cut. Center and adhere to the Heartfelt Creations paper. Cut out the white card stock and pink card stock and adhere the layers as shown on the photo. Add the Happy Birthday words.